Instead of just going for the low-end, easily customized processes within analytics, CRM, supply chain management, ERP, pricing or service, vendors need to take on the more challenging, complex hard-to-solve problems enterprises have. As I am completing more research on personas, I’m finding what CIOs really look for in SaaS apps. Flexibility and ease of workflow support, intuitive user interface design without sacrificing functionality, and support for analytics, business intelligence and knowledge management systems integration are all mentioned often. Nearly all of them also mention that the existing generation SaaS applications on the sell-side, from CRM to order capture and order management aren’t taking on the more challenging areas of their strategies. The result is the CIOs are still relying on legacy, on-premise apps in areas of their companies that are ready for change to SaaS-based applications. Cloud platforms are taking on these more complex, challenging problem areas, yet innovation still lags the needs in the market. CIOs are focusing on how to exceed the expectations of their internal customers at the workflow and interface level while infusing SaaS apps with analytics, business intelligence and knowledge management support. 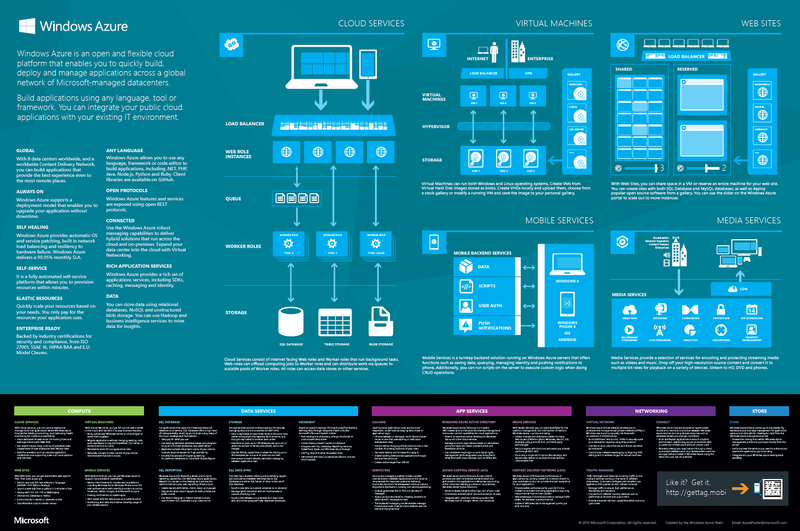 What’s missing is the killer transaction platform layer and transaction-based applications. Gartner’s report, A Workforce Without Humans: Three Ways Technology Will Eliminate Skilled Jobs in the U.S. 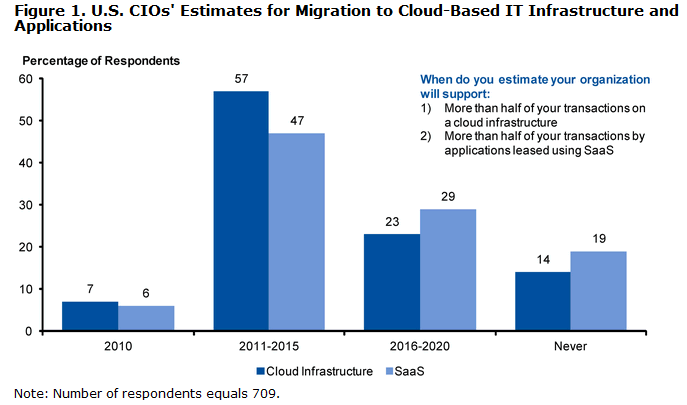 Through 2020 by Kenneth F. Brant by Johan Jacobs has the following graphic which shows CIO’s estimates of migration to cloud-based IT infrastructure and applications which supports this point. 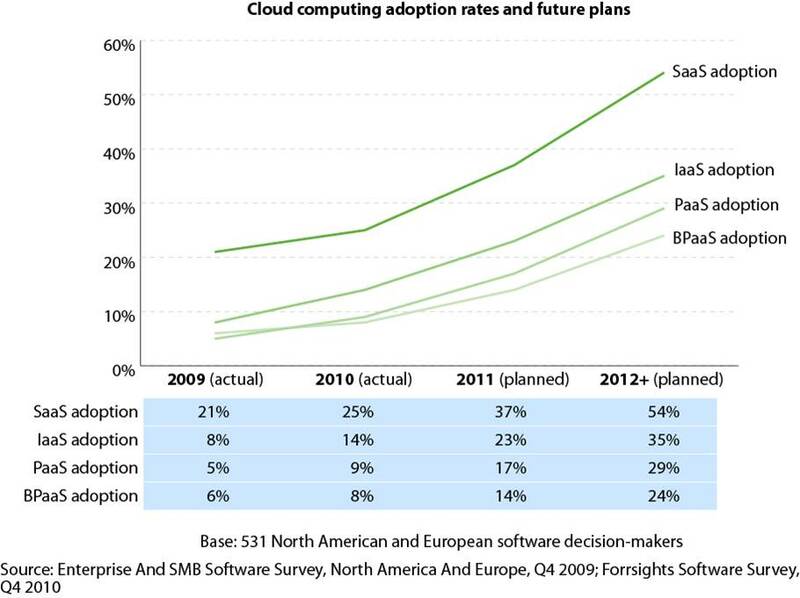 Virtualization and cloud computing are the two top-ranked U.S. CIO technology priorities for 2011. 83% of U.S. CIOs estimated that more than half of their transactions would be conducted on a cloud infrastructure by 2020. 79% of the respondents predicted that more than half of their transactions would be completed on applications leased using the SaaS platform by 2020. 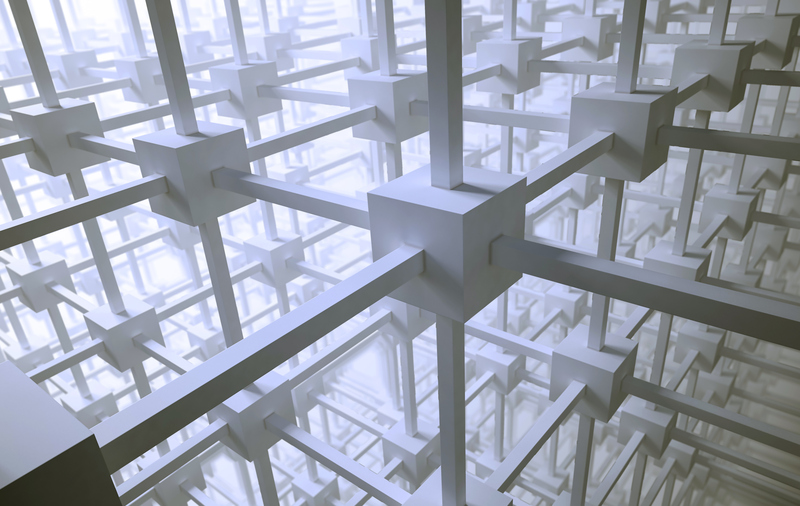 For cloud infrastructure platforms and SaaS applications to deliver that level of transaction volume and support, there needs to be a major shift in how enterprise vendors develop software. 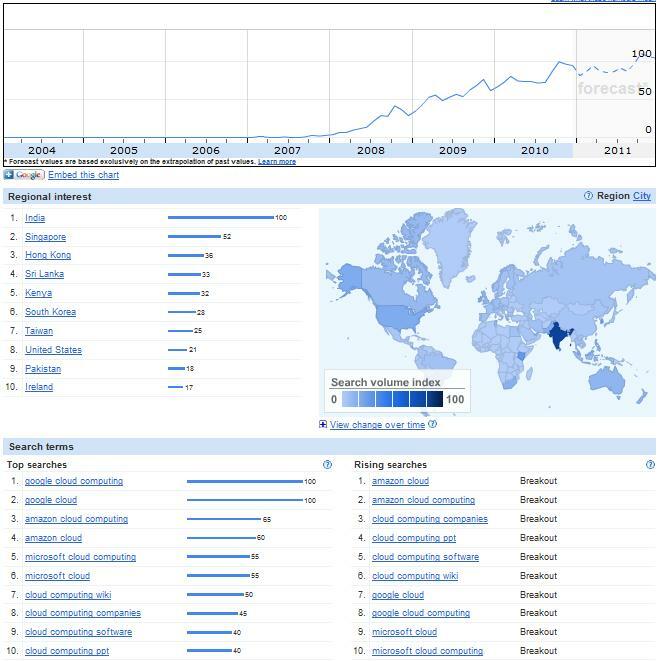 Making better use of analytics, business intelligence and knowledge in the enterprise is key. Designing applications that make information and knowledge sharing intuitive is critical. The following figure from the same report cited earlier shows the relationship of technologies to potential business value. Many CRM and sell-side vendors tend to focus on being a substitute or just barely delivering increases in human productivity. Going after the hard work of optimizing pricing strategies, call centers, making multichannel selling strategies profitable and getting the most out of social networks to make the customer experience exceptional will deliver major gains in productivity. It’s been my experience during the persona interviews that for any SaaS vendor to really excel here they need to get beyond human productivity and make it possible for enterprises to deliver exceptional customer experiences daily. Creating SaaS applications that take on real complexity earns trust too, which no amount of pure efficiency can compete with. 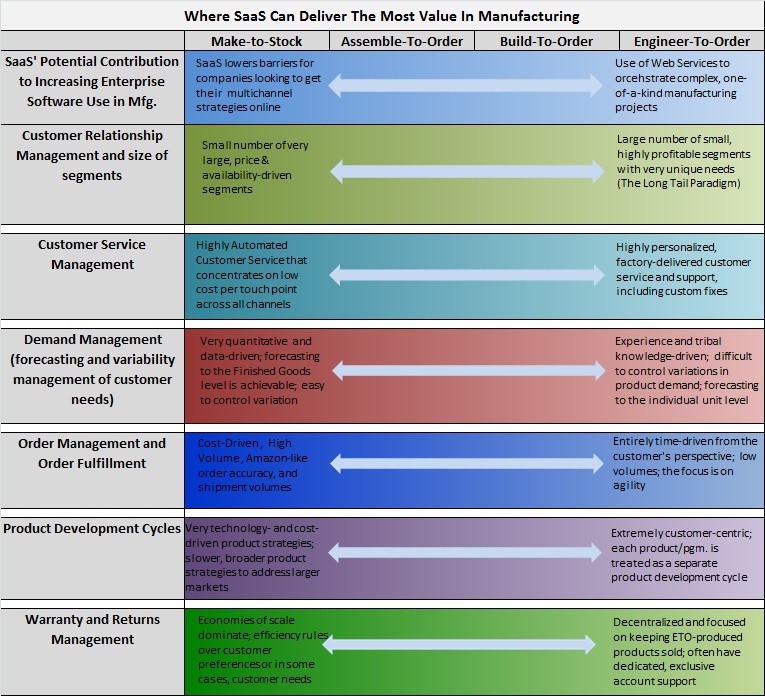 The following table compares the strategies and systems used in a typical manufacturing company. Enterprise apps vendors for the most part are focused on make-to-stock and assemble-to-order automation and efficiency (SAP ByDesign for example). 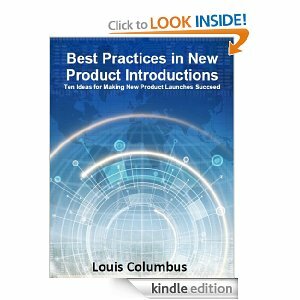 As the continuums move from left to right, the process, systems and strategy challenges exponentially increase. As a result there are only a few vendors who can manage the more complex engineer-to-order requirements in manufacturing for example. 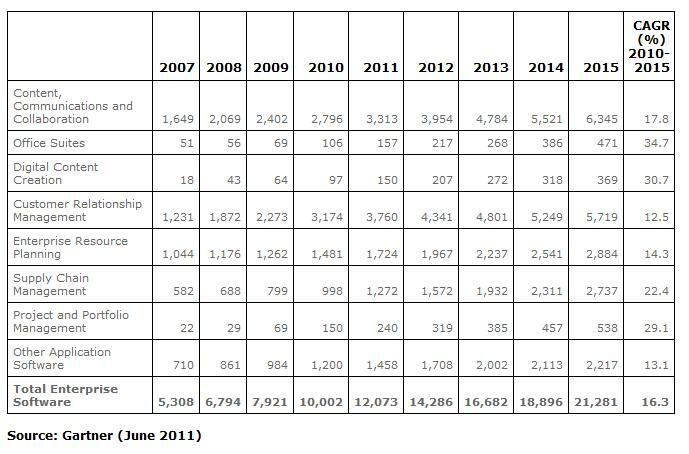 Transactions there are very small in number, yet orders of magnitude more profitable. This is just an example of many areas in enterprises that need major improvement. Instead of just focusing on the easy processes and strategies on the left, vendors need to go after the more difficult, complex selling and transaction challenges on the right. This is why CIOs want SaaS applications that are easy to customize from a user interface and workflow standpoint, while at the same time supporting analytics, BI and knowledge management. The goal is to slot them into these more challenging areas of their business and transform their company’s intelligence and expertise into profitable growth. 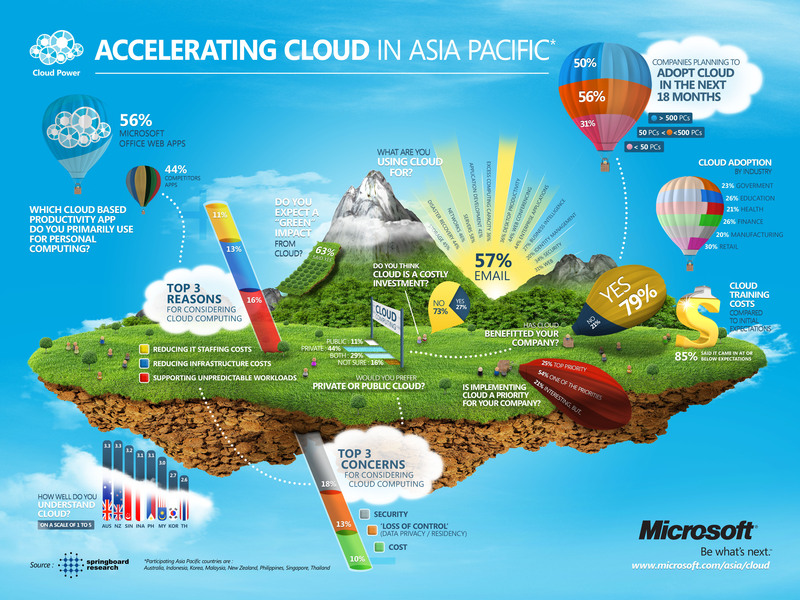 Bottom line: The true catalyst of cloud computing growth isn’t just SaaS economics; it’s how effectively enterprise software vendors address the very difficult transaction, order management and selling challenges their potential customers face all the time. When that happens, the many optimistic forecasts of cloud adoption in the enterprise will take a step closer to being fulfilled. It is ironic that a framework meant to define the relative level of hype associated with new technologies adds in seven new ones, an increase of 20% within just a year. Are all those technologies really significant enough to be included in a framework whose purpose is to cut through hype? With less than 1% adoption throughout enterprises for over 50% of these technologies, it may be time for a more rigorous screening process. After reading this Hype Cycle several dominant themes emerge. 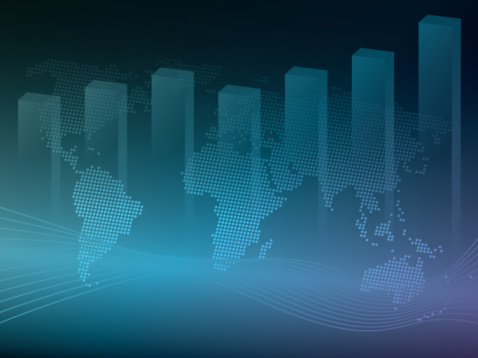 They include modernization of IT infrastructure to support greater scalability and security, consolidation of IT hardware investments, recognition of hybrid clouds being a central part of networking strategies, and location-based technologies having the potential to re-define logistics, supply chain and customer service strategies. That’s a lot of ground to cover in a single Hype Cycle, and to be fair, Gartner says this is an aggregated view of the market. Yet there is still the issue of technologies being included that have not shown any real value to enterprises yet. 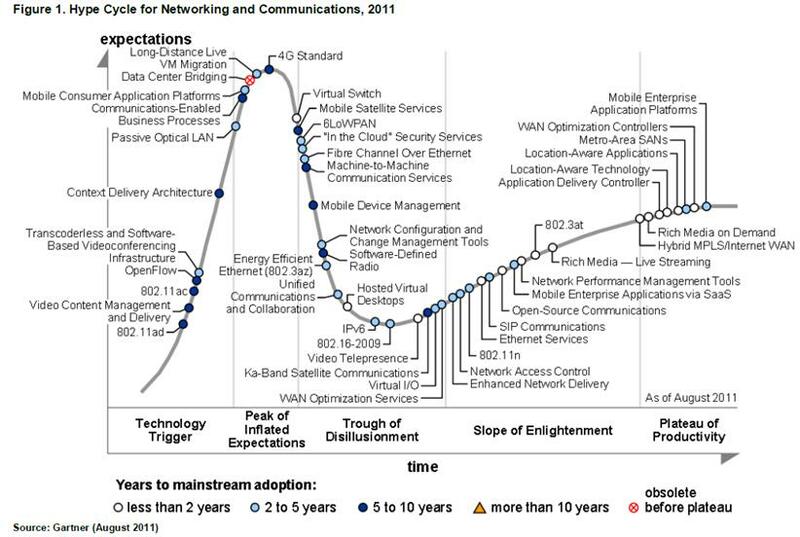 Presented below is the Hype Cycle for Networking and Communications, 2011 and key take-aways. Gartner is predicting the technologies that will experience the fastest growth include Virtual I/O, Gigabit Ethernet, Long-Distance Live Virtual Machine Migration, Energy Efficient Ethernet, Context Delivery Architecture, and Video Telepresence. Hosted Virtual Desktops, OpenFlow (technology also known of as software-defined networking (SDN), Transcoderless and Software-Based Videoconferencing Infrastructures, Mobile Enterprise Applications via SaaS, 802.11ad (Wi-Fi at multi-Gigabit speeds) , 802.16-2009 (consolidates dated WiMAX standards) and Mobile Satellite Services are the latest technologies Gartner has added to this Hype Cycle. Of these, Mobile Enterprise Applications with SaaS have the most significant potential effect on Total Cost of Ownership (TCO) on CRM and customer-facing enterprise applications. None of these have greater than 1% adoption in the enterprise today however. 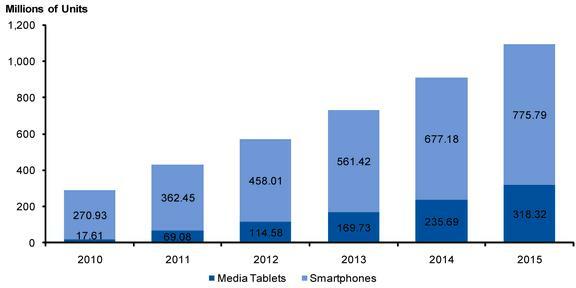 Gartner is projecting over 1B smartphones and media tablets will be sold globally by 2015. This explosive growth is forcing enterprises to react much faster than they initially expected to mobile security, mobile device management, and application support is an essential services. A recent survey completed by Gartner indicates that CIOs fully expect to support up to three mobile operating systems by 2012 and that 20% of devices will be employee-owned by that year. Presented below is their forecast for smartphones and media tablets through 2015. 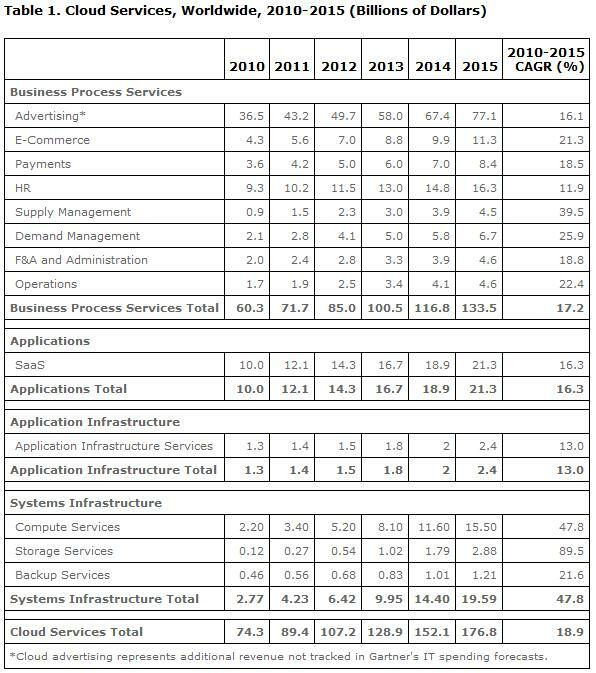 The following forecast is from their report, Emerging Technology Analysis: Mobile Business Intelligence, 13 July 2011, ID:G00214124 by Bhavish Sood, Andreas Bitterer, James Richardson. Mobile Enterprise Applications via SaaS will see the greatest growth in vertical or specialized and Small & Medium Business (SMB) segments. 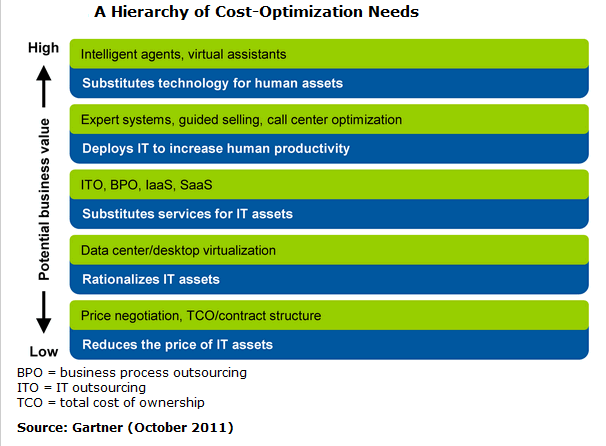 It is evident from their analysis that TCO estimates may confuse enterprise buyers into thinking initial set-up costs for SaaS will lead to a lower price than licensed, premise-based applications. 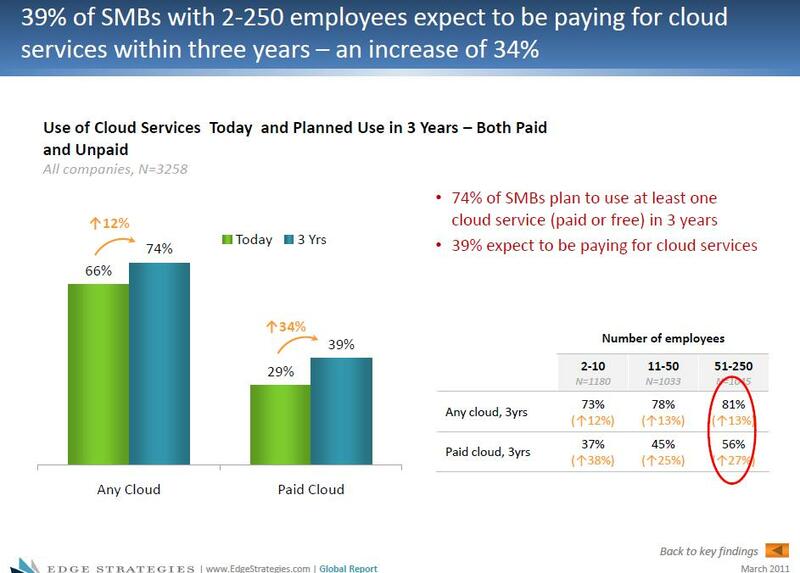 This will not always be the case despite the hype around SaaS economics today. This Hype Cycle could have been stronger and more prescriptive for enterprise IT buyers by discussing SaaS economics in greater detail. 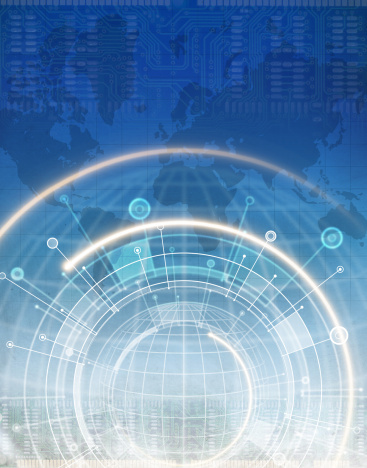 Gartner goes into great depth on location-aware technology yet doesn’t make that convincing of a connection to enterprise-level strategies, initiatives and programs. There is much technological discussion on GPS, assisted GPS (A-GPS), Wi-Fi, Enhanced Observed Time Difference (E-OTD) and Enhanced GPS (E-GPS) yet hardly any analysis of how this fits into the enterprise. 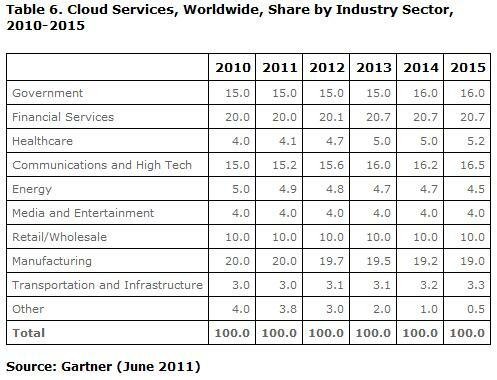 Gartner sees the majority of enterprise cloud-based systems being hybrid. The Hype Cycle provides a glimpse into private and public clouds being integrated together for workload sharing. There needs to be more focus on how this will work for a business process standpoint to be of value however. 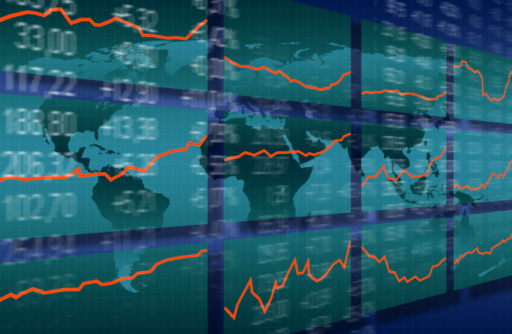 Mobile consumer application platforms (MCAPs) will increasingly become multi-platform based. Gartner is predicting that Messaging-Based, Browser-Based, Thick Clients/Rich Clients and Streaming Audio/Video will dominate consumer application platforms within the next two years. They also see this area as the most transformational of all technologies analyzed in the Hype Cycle. 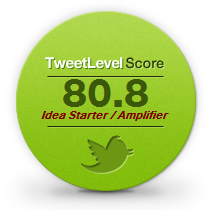 Bottom line: The best way to deflate hype in any industry is to insist on real, measurable results. From choosing communications and networking solutions to including nascent technologies in a research framework, results attained by real customers are all that really matter.